This is a HAND CAST SILVER PEWTER PENDANT. All nickel free, lead free & made in the USA. It measures approx. 1 3/4 inches in length and approx. 2 inches across. This is a FABULOUS PIECE of jewelry. Makes a great gift anytime of the year for a collector of mythical fantasy Fairies or Pixies and Dragonfly items. 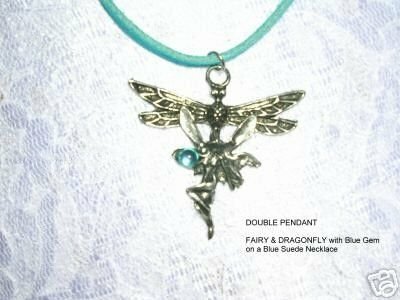 Please ask any questions before purchasing dragonfly jewelry pendants. I will be happy to help in any way I can.